Oz Painters • View topic - OzPainters Challenge XIII - Tiny! Post subject: OzPainters Challenge XIII - Tiny! Tiny! Paint something small! A small model, small freehand, make something seem smaller than it is. Find your own method of interpreting tiny. Hopefully with a small project, and few more people might be keen to enter without interfering with plans for things like Crystal Dragon. Entries are due by January 31st at 11:59pm (NSW time). Voting will commence the next day and be open for two weeks. To enter, post an image (or images) in this thread, as well as a brief description about working on the model, like the look you were aiming for or techniques you used. If you use CMON or Putty and Paint, feel free to include a link to your post on there in the description as well. If you win the vote, you get to pick the topic for Challenge 15. 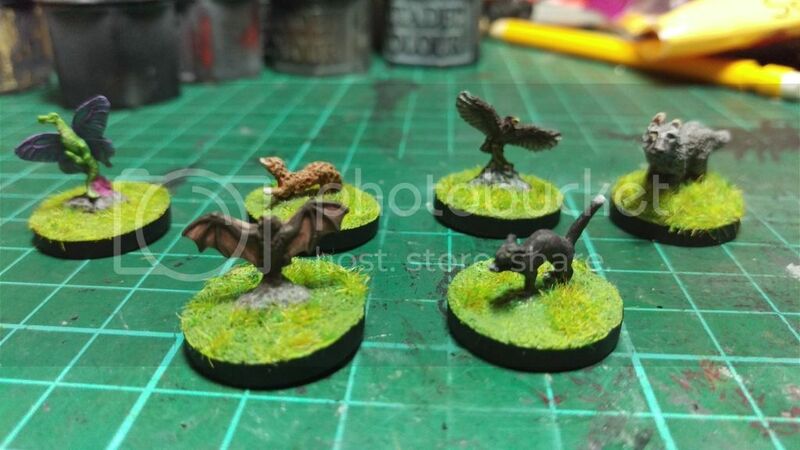 Post subject: Re: OzPainters Challenge XIII - Tiny! My entry. For reference, the bases are 20mm wide. Finished the two at the front about halfway through January, the rest were done late December.